We love old lamps! These two beauties have been restored, rewired and given new lampshades for twice loved vintage chic! Gorgeous crystal base and fun shade...so cute! 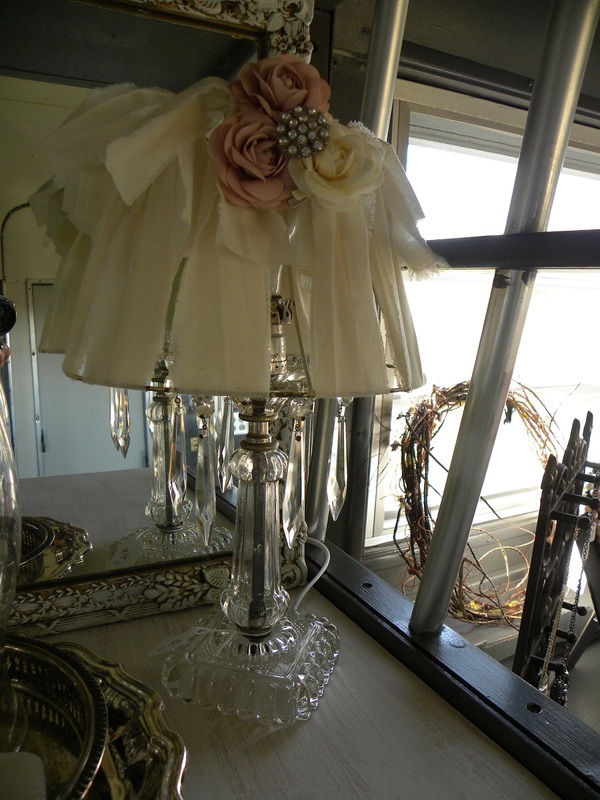 Crystal chandelier lamp with designer shade...this one was found with plastic crystal-shaped dangles that had yellowed with time. Immediately, I knew the plastic had to go, but the lamp looked really naked without the crystals. On our treasure hunt at the Junk in the Trunk Vintage Market, we found the perfect crystal dangles! Yay!! This lamp is really really beautiful! Lamps can soften any space and make any room feel homey. 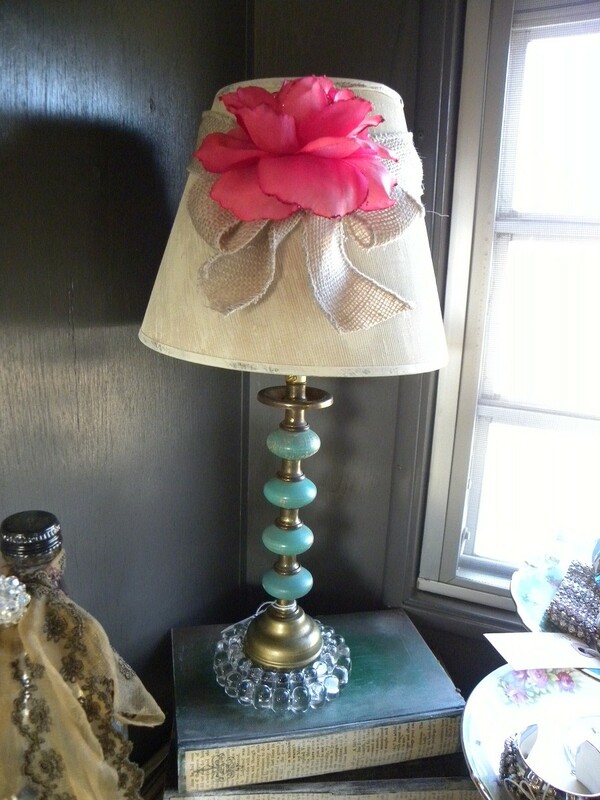 Small lamps are especially nice as they fit almost anywhere and can add personality and charm. Try adding a lamp to your kitchen...instant warmth! Have a great week, everyone, and don't forget to let your light shine!